I met Morgan Berman when she participated in the Tribe12 Fellowship, a PresenTense Accelerator, this past spring. I was immediately excited by her Idea for MilkCrate, an app for sustainable living (think: yelp for socially responsible/sustainably focused businesses). Dedicated to living a sustainable lifestyle as much as possible myself, I was excited to learn more about this necessary troublemaker and support her in building a lasting impact through her app. I interviewed Morgan, read on to learn a bit about what inspires her and more about MilkCrate, as well as her tips for living a sustainable lifestyle. What inspired you to create MilkCrate? How does MilkCrate enable individuals to support their local communities? Right now MilkCrate is a basic tool allowing you to find businesses and resources connected to sustainability and the local economy right in your neighborhood and throughout the city. Future versions will have a community calendar, social media integration, and many other ways for people to personalize their experience, while connecting with others in the sustainability community, including business owners and our partner organizations. Why is sustainable living important to you? It was just a part of growing up. My parents kept a vegetable garden, fruit trees, and composted. My mom and I shopped at thrift stores, first, the mall last. We even dumpster dived, and made some great (but embarrassing) curb-side finds. She eventually started a business called Thrift Shop Maniac Enterprises from her developing skill set and consciousness, and I was there, helping out and learning by osmosis. We re-purposed, reused, rethought, consigned and donated; we rarely if ever considered throwing anything out. But I guess it all came together for me when I started to understand the impact of climate change and environmental degradation, and the uneven distribution of natural resources on people’s lives all over the world. Locally, I care about the lack of access to affordable fresh healthy food here in Philadelphia. And don’t get me started on what treacherous circumstances cyclist like myself face biking around the city in car congested, polluted streets. How do you live your life in a sustainable way? I filter every decision I make through the same process that surrounded me growing up: I buy most of my food locally, whether from farmers markets or restaurants. I compost on my deck and grow a small garden. I bike everywhere. I don’t own a car. 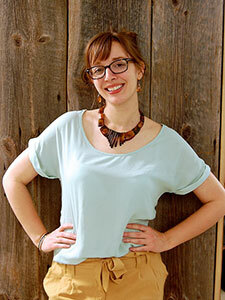 I purchase a lot of my clothes secondhand, at thrift or consignment stores. I always have a water bottle and generally cut down packaging in as many ways as possible. I get my energy from Green Mountain Energy. I make sure things like batteries or lightbulbs get disposed of properly. Even my cat Chester is recycled from the SPCA. Once you start living, deciding, shopping this way, the easier it gets. What are three things Necessary Troublemakers can do today to start living a more sustainable life? You only need one now: Use MilkCrate! Or if you aren’t in the Philly area, help us grow to your city by contributing to our Indiegogo Campaign before it ends on September 23rd. What piece of advice can you give to individuals who want to take action on issues that are important to them? Find other people who care about the same things you do. They have sustained me. They will sustain you. What’s your favorite item or service you’ve received/purchased from a MilkCrate partner? I could never pick an all time favorite, there are just too many moments of finding the next great company or product. For me, my favorite ‘moment’ now is giving others the opportunity to find their newest, favorite MilkCrate company. 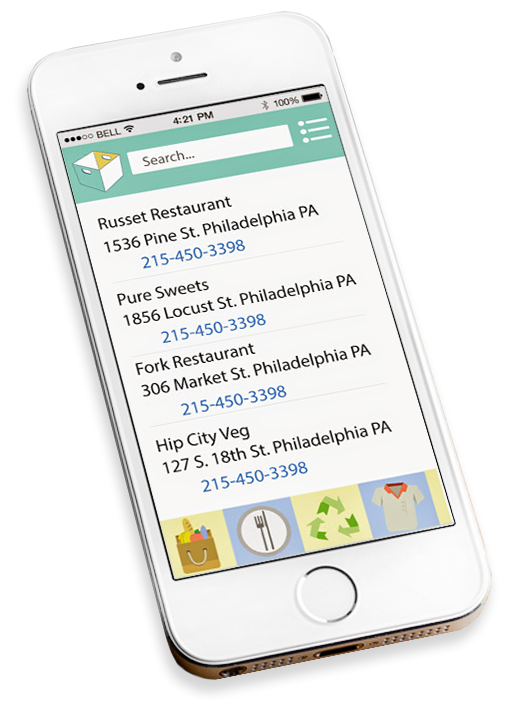 Now that our app is available to download, anyone can find a new MilkCrate favorite in the Philadelphia area, and soon anywhere.